Karunanidhi’s politics engaged with a slew of ideas — secularism, caste, affirmative action, federalism, regional identity — and their role in public affairs. M Karunanidhi, who passed away in Chennai on Tuesday, titled his autobiography, Nenjukku Neethi (justice in heart). The phrase taken from a popular song of the iconic poet, Subramania Bharati, is an apt summation of the DMK patriarch’s long and rich public life that spanned nearly eight decades. And foreshadowed the enduring faultlines of politics. Karunanidhi’s politics engaged with a slew of ideas — secularism, caste, affirmative action, federalism, regional identity — and their role in public affairs. His demise comes when these issues are returning to the political centrestage as the nation moves towards another general election. Ironically, the DMK supremo preferred to do his political battles in Tamil Nadu but they had a resonance far beyond the borders of his state. In many ways, they presaged a politics that a large part of India is engaging with only now. Karunanidhi joined Periyar E V Ramasamy’s social justice platform when he was in his teens. Periyar had fired up politics in Madras Presidency, especially the Tamil-speaking areas, with his radical vision of an anti-caste Dravidian nation in the first half of the 20th century. 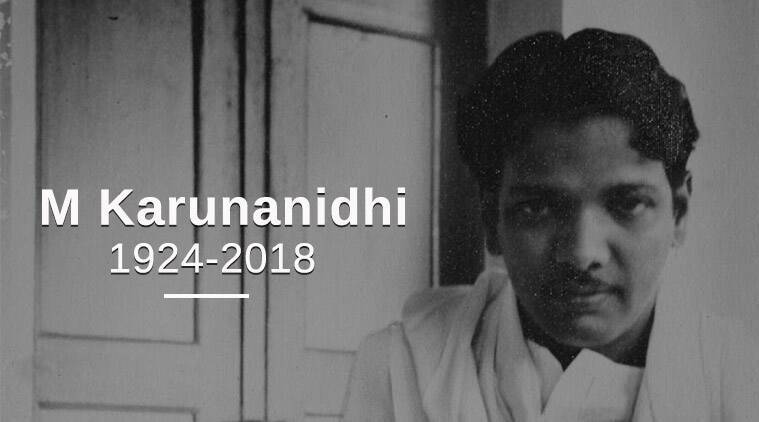 He held up a Dravidian identity, which privileged Tamil language and culture and an egalitarian social order that rejected Brahminical notions of caste divisions and hierarchy, against the all-subsuming, centrist nationalism of the Indian National Congress. Justice — social, economic and political — was at the centre of Periyar’s ideology and the mass movement it spanned; religion and caste were identities that militated against an egalitarian society and hence were to be rejected. Periyar’s radical ideas transformed social relations in the region. 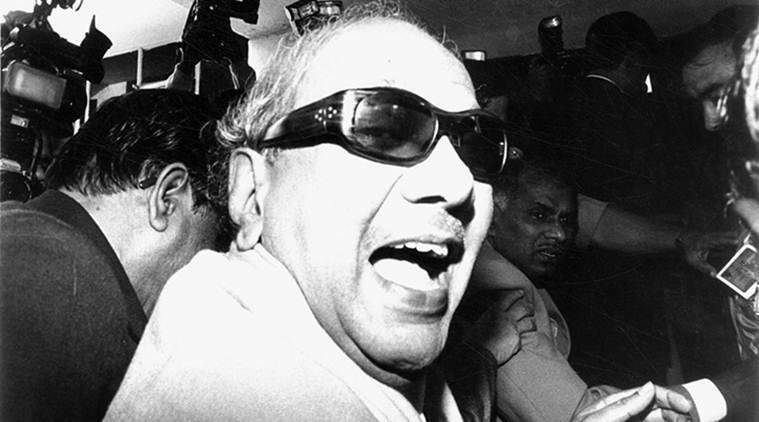 Karunanidhi had a seminal role in facilitating this transformation, first as a young follower of Periyar, then as the thambi (younger brother) of C N Annadurai, Periyar’s charismatic lieutenant who broke away from his mentor to join electoral politics in independent India, and then as the ideologue and political face of the movement. As DMK president for over 50 years, legislator for six decades, public speaker and a prolific writer — film scripts, novels, political articles in the party organ, Murasoli — Karunanidhi shaped the contours of politics in Tamil Nadu. As Chief Minister of Tamil Nadu for five terms (19 years), he translated the ideals of the Dravidian Movement into concrete public policy. The Madras Presidency was an early convert to the idea of caste-based reservation as a public policy intervention to democratise society. The DMK built on the legacy of the Justice Party, which introduced communal quotas in jobs in early 20th century, and Periyar’s Self-Respect Movement, and extended reservations to communities historically excluded from the power structure. 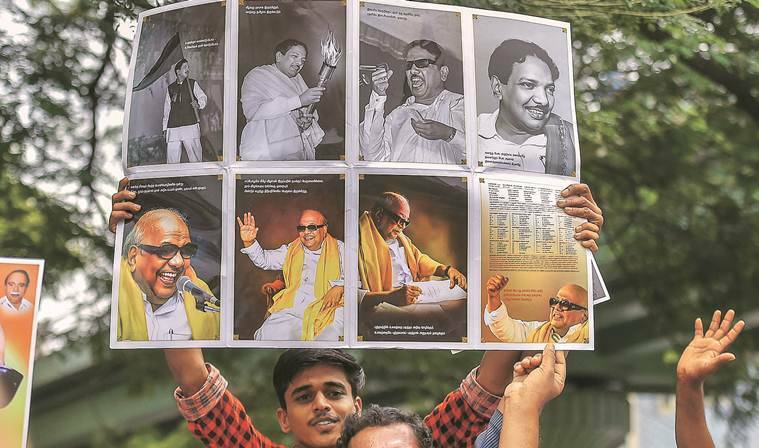 For Karunanidhi, identity politics was not an end in itself; he effectively used it to make the administration more representative of the state’s social composition and, most importantly, to improve delivery of public services and goods. The building of an extensive public transport system, government school network, ration shops and so on were instrumental in turning Tamil Nadu into an industrial powerhouse which scored high on health and social indicators. 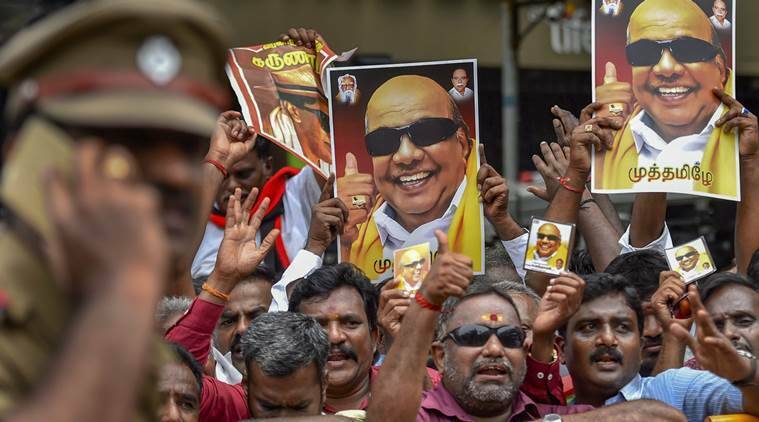 Unlike the AIADMK leaders, Karunanidhi was a reluctant populist and favoured policy interventions and delivery to disbursing patronage and freebies. It is also to the credit of Karunanidhi, and his mentor Anna, that the DMK would adapt the demand for a separate Tamil nation into a political demand for a federal India. Karunanidhi was consistent in opposing the idea of an all-powerful Centre and spoke up for a federal and decentralised polity in accordance with the country’s regional, linguistic, religious and ethnic diversity. In other words, the DMK would push the idea of a federal India to reconcile Tamil separatism as a cultural subnationalism under the rubric of an Indian nationalism. Indian nationalism and the polity has been richer for the DMK leadership’s nuanced reading of Centre-state relations. Karunanidhi also drew from the radical legacy of Periyar and the Dravidian Movement to build a secular public culture. He refused to allow religion or caste identities to override constitutional categories and influence civic life. Who else but Kalaignar could ask whether Lord Ram was an engineer and puncture the attempt by Hindu right-wing groups to derail a public project (Sethusamudram) by giving a religious colour to it. Karunanidhi’s death comes when politics in Tamil Nadu is in a state of flux. The AIADMK has yet to recover from the death of Jayalalithaa, with different factions fighting for her legacy. Rajinikanth and Kamal Haasan believe that their screen popularity can be translated into political capital and have launched parties. The Congress and the BJP have been unable to overcome the state’s suspicion of national parties and agendas. The leadership question in DMK appears a settled issue after Karunanidhi’s 65-year-old son M K Stalin was chosen party chief in 2016. However, the party will miss the guiding hand of Karunanidhi, the patriarch. Tamil Nadu mours the death of Karunanidhi. The DMK survived Anna’s demise and the split engineered by MGR because of Karunanidhi’s organisational skills. The latter also allowed space for district leaders and even allowed criticism of his leadership. He had a slew of trusted colleagues, who stood with him in times of adversity, like in 1976 when Indira Gandhi dismissed his government; in 1991 when the Centre dismissed him in the wake of the assassination of Rajiv Gandhi; and when the Jayalalithaa administration sent him to jail in alleged corruption cases. The cadres’ trust in Kalaignar allowed the DMK to join the NDA and later, walk out of it, without any internal revolt. Stalin’s skills as an organiser, crowd-puller and negotiator with national parties will now be tested as he prepares to pilot the DMK towards the general election next year. 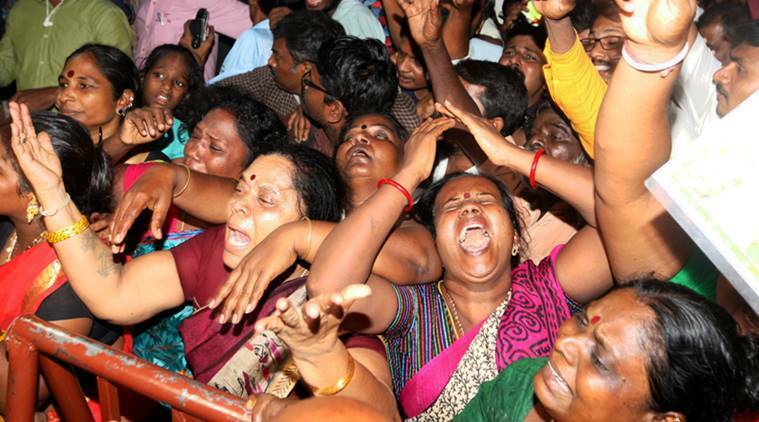 The old ideological consensus that the Dravidian Movement had forged is already coming apart. Many Dalit groups have questioned the anti-caste legacy of the Dravidian Movement. Religion has found a new wind in Tamil Nadu and the state is no more protected from communal and caste polarisation. The agrarian crisis and water shortage are demanding an ecological audit of the governments run by Dravidian parties. The limits of the state’s welfarist agendas and its fiscal implications are becoming increasingly visible. The DMK under Stalin may need to go for an overhaul on many fronts to survive the current churn. 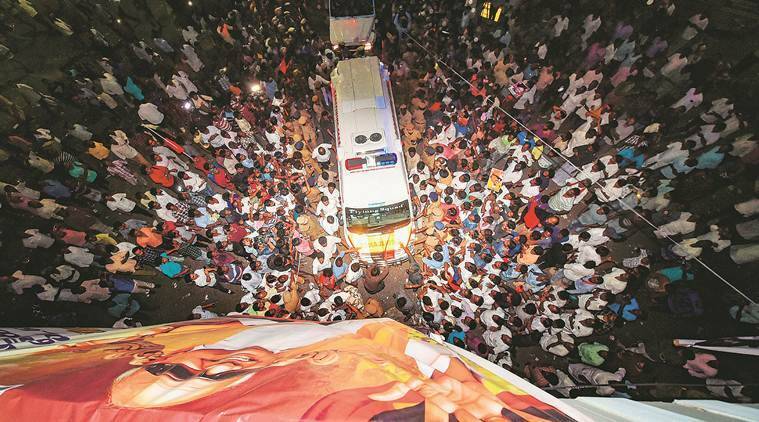 Kalaignar is no more, sure, but it is his legacy that the DMK will turn to — and build on — as it charts its course in the coming years.